Vancouver, BC – Ultra Lithium Inc. (TSX-V: ULI) (FSE: QFB) (“ULI” or “the Company”) is pleased to announce that it has received permits from the Mining Department of Catamarca Province, Argentina to carry out exploration work at its brine lithium properties. 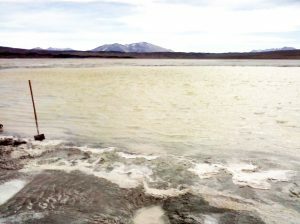 The permit is issued for ground geophysical surveys and evaporation ponds for trial lithium concentration processing at the Laguna Verde, Amelia (Antofalla Salar) and La Borita brine properties. 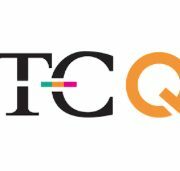 The Company has contracted Beijing Technology and Engineering Co., Ltd. (BETEC) from China to complete approximately 82.60 line-kilometres of Gravity and Time Domain Electromagnetic (TDEM) surveys on the three brine properties. BETEC technical teams have been mobilized to the project area to start geophysical surveys. Beijing Technology and Engineering Co., Ltd (BETEC) is a global high-tech enterprise providing geological exploration services, research, software development and technology support to the mining and energy industries. 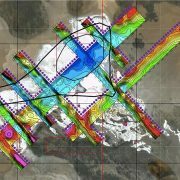 Established in 1987, BETEC now operates as a full-service provider of geological, geophysical & geochemical surveying, mapping and technology advancements in mineral exploration, oil and gas exploration, hydraulics, earth physics archaeological exploration, seismic safety evaluation, city construction inspections, remote sensing, geological disasters, land surveying, geodesy, photogrammetry, engineering surveying, geographic information systems development and many other areas. Vancouver, BC – Ultra Lithium Inc. (TSX-V: ULI) (FSE: QFB) (“ULI” or “the Company”) – Messrs. Shaoguo Cao, Xiaomin Chen and Zhang Guoqing (individually a “Seller” and together referred to as the “Sellers”), all of Wenzhou, China, jointly announce that each Seller has sold 8,000,000 common shares (aggregate 24,000,000) of Ultra Lithium Inc. (“ULI”) (TSXV: ULI) in private transactions, to Wenzhou Liten Dreamwork Investment Real Estate Co., Ltd. (“Liten”) for the price of CAD$0.33 per share. Liten is a private Chinese company controlled by Mr. Shaoguo Cao, one of the Sellers and a director and Chairman of the Board of ULI. National Instrument 62-104 Takeover Bids and Issuer Bids. The change of control of ULI resulting from the acquisition by Liten of an aggregate of 29,000,000 common shares was approved by a majority of the disinterested shareholders of ULI who cast votes at the annual and general meeting of shareholders of ULI held on March 2, 2018. The Sellers’ shares were excluded from voting on the resolution. Immediately before completion of the private transactions, each of the Sellers held 8,000,000 of the 70,548,582 issued and outstanding common shares of ULI, representing 11.34% (aggregate 34%) of the issued capital of ULI on an undiluted basis, and 10.2% (aggregate 30.6%) of the issued capital of ULI on a fully diluted basis. Following the completion of the private sale, the Sellers together hold no common shares of ULI directly. Mr. Cao, one of the Sellers, exercises control and direction over 29,000,000 common shares, representing 41.1% of the issued capital, of ULI on an undiluted basis, and 37.0% of the issued capital of ULI on a fully diluted basis, through his control of Liten. Vancouver, BC – Ultra Lithium Inc. (TSX-V: ULI) (FSE: QFB) (“ULI” or “the Company”) wishes to announce that on April 4, 2018 it has granted 1,010,000 stock options to certain directors, officers and consultants pursuant to the Company’s Stock Option Plan. The options have an exercise price of $0.205 per share and an expiry date of April 4, 2023. 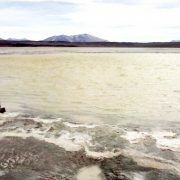 Vancouver, BC – Ultra Lithium Inc. (TSX-V: ULI) (FSE: QFB) (“ULI” or “the Company”) has received complete assay results of the second round of sampling work carried out in December 2017 on the Salar Laguna Verde Discovery Zone in Catamarca Province, Argentina. 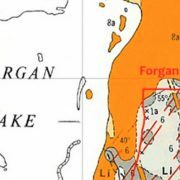 Assay results indicate lithium values in the range of 34.2 to 1,270 milligrams per liter (mg/L) or parts per million (ppm), magnesium values less than one ppm to 7,920 ppm, potassium 804 ppm to 15,800 ppm, and boron 65.5 to 2,190 ppm. 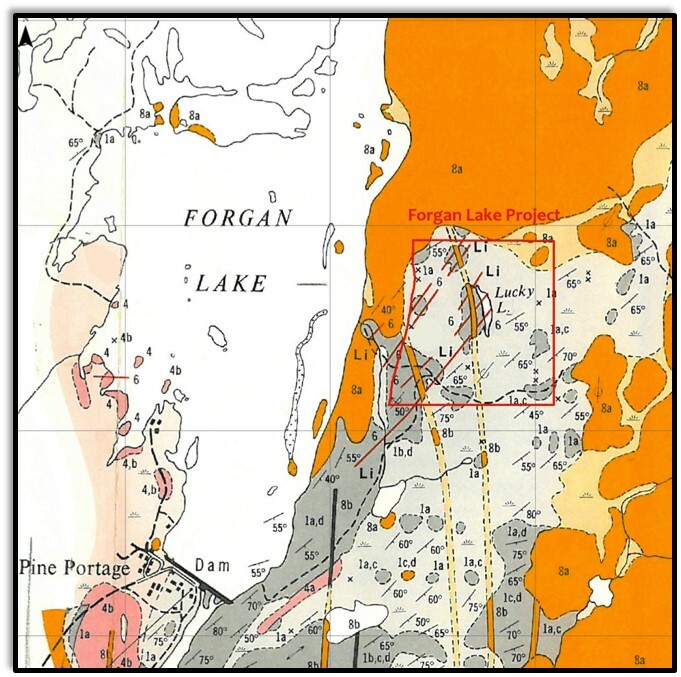 The Laguna Verde area is marked by low magnesium to lithium ratios, in the range of zero to 10.2. Lithium values up to 1270 ppm, potassium 15,800 ppm (1.58%), and boron up to 2,190 ppm. 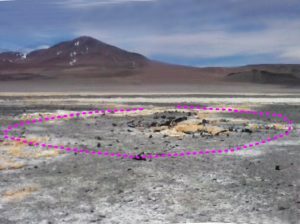 Fourteen samples in the central part of the Salar have lithium values greater than 500 ppm. Average values of lithium in all samples is 526 ppm, boron 673 ppm, magnesium 1,916 ppm, potassium 7211 ppm and sodium 86,081 ppm. Average magnesium to lithium ratio is 3, a very favourable factor for shorter evaporation time and potential lower lithium carbonate production costs. Dr. Weiguo Lang, CEO of Ultra Lithium, stated that, “We are very pleased with the success of our Argentinian exploration work to date. The Company is planning to commence geophysical surveys in the coming weeks. We will also commence evaporation process testing of lithium brines. These are the next big steps in moving the Laguna Verde Discovery Zone project forward. A total of 36 samples were collected from surface and shallow sub-surface brines down to a depth of one meter or less. 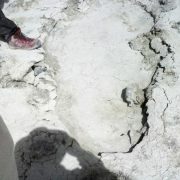 Hand tools, such as hammers, and shovels were used to break the surface salt / sediment layers to access the brines. Brine samples were collected in clean plastic bottles which were rinsed with brine before sampling. Field parameters of each sample were recorded which include: depth of water table from surface, total dissolved solids, temperature, conductivity, salinity, pH, and density. All samples were shipped to SGS Laboratories in Buenos Aires, while four duplicate samples were sent to Alex Stewart Laboratories in Jujuy, Argentina which were reported in December 22, 2017 news release. Two field blank and three field duplicate samples were also shipped to SGS as part of quality assurance and quality control purposes. SGS is a global chain of independent certified laboratories. The samples were assayed by SGS method ME. 113 based on SM 3120, 23rd Edition.